It is my pleasure to do the foreword for this issue of the EBC Newsletter ahead of the 37th EBC Congress in Antwerp. First a short introduction- my name is Sandra Stelma, I work for Diageo based in Dublin, at St James’s Gate, home of Guinness! I have worked in brewing research and beer production my entire career, I started off in South Africa before moving to Europe 10 years ago. Finally, I moved to Dublin almost 4 years ago where I work with my team to provide the technical support behind product innovation. At this time and on behalf of Diageo I joined both the EBC and The Brewers of Europe. As part of the EBC Executive Team I am very much involved in the technical programming of the upcoming EBC Congress- a process that runs over months where the team review and select the best submissions and arrange this into the best possible program for all attending- no small feat, we keep trying to improve what the Congress has to offer! 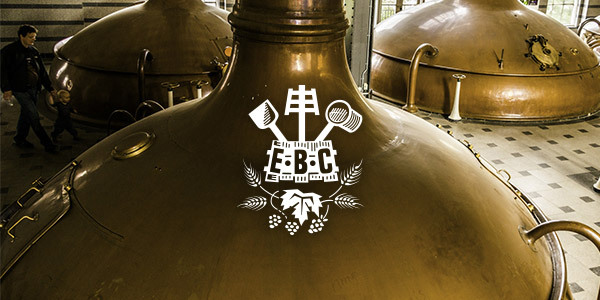 The EBC Congress is for the first time combined with The Brewers of Europe Forum for its second edition. Both events open on the Sunday evening (2 June 2019), the combined events run through all of Monday and Tuesday (3 and 4 June) while the EBC Congress program goes on for the Wednesday (5 June) and closes out on the Thursday (6 June) with the technical tours- finishing in time to travel home later in the day. The entire program will be packed full of a wide range of topics with something there for everyone hopefully. There will be plenty of parallel sessions (choices!) and the team is working hard to make sure this runs smoothly. 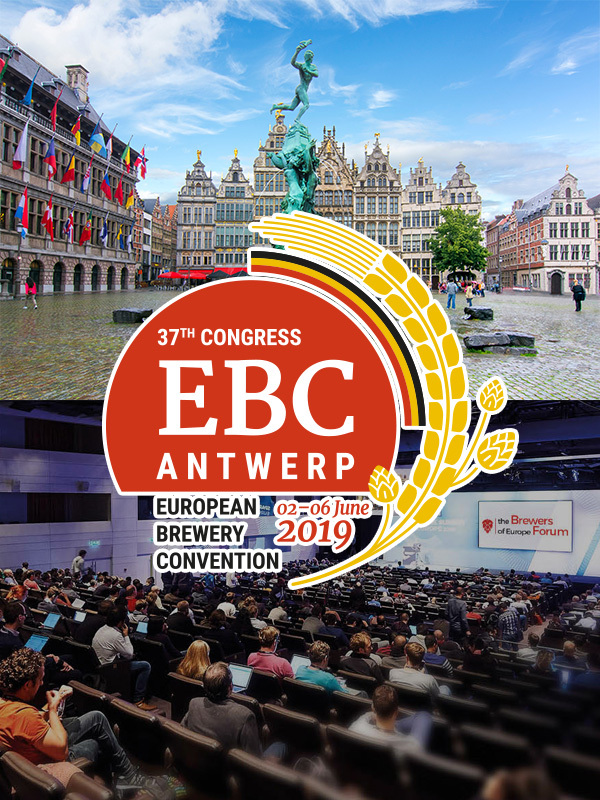 The ambition is the provide once again the technical depth and quality that the EBC Congress is known for while broadening the scope through the added facet provided by the Brewers Forum which takes a broader look at the brewing industry. There is still time to register for one or both events. And in case it’s not clear and you still need to book your hotel- the venue is the Flanders Meeting & Convention Centre on Koningin Astridplein- right at the Antwerp Central Station. The Congress is the most important event on the EBC calendar and as such it dominates also this foreword, but there are plenty of other activities that the EBC is involved in. 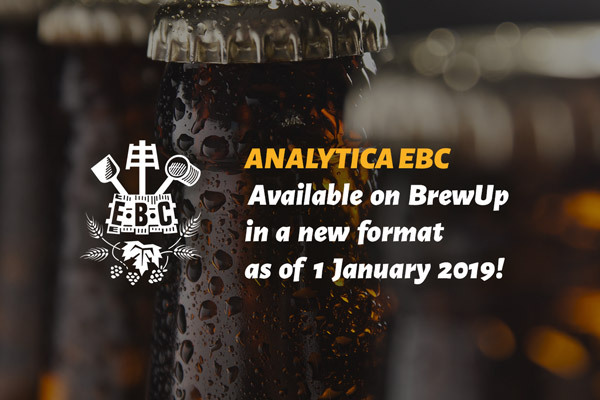 EBC Analytica is now live and available via BrewUp as are many other useful resources so it is worth taking a moment to look around the site as the new portal to all matters EBC and The Brewers of Europe. Please find the 4th issue of the EBC Newsletter below, we are always interested to hear constructive feedback so we can keep improving it. The EBC Executive Team organized its quarterly call on the 21st of February 2019 to review the preparation of the 37th EBC Congress, including the scientific programme and the poster exhibition and the practical arrangements. Members seem very enthusiastic about the quality of presentations and the quality of selected posters. Compared to previous years, there will be more posters exhibited during the Congress. Members also discussed the involvement of experts in the activities of the EBC Analysis Group’s sub-committees: following the meeting that was hosted at The Brewers of Europe end of November 2018 (Issue 3 of the EBC Newsletter provides more details), new experts joined the activities of the EBC and he Executive Team noted its appreciation. The EBC also discussed the two publications currently drafted for the EBC: the Manual of Good Practice on Filtration (which also reports back about the EBC Symposium on Filtration from June 2018, see Issue 1 and Issue 2 of the EBC Newsletter) which is nearing completion and the EBC Compendium on Basics Quality Analysis and Quality Control for beer whose drafting is well-advanced. These two publications should be available later on in 2019 in printed version. The EBC Executive Team will meet next during the EBC Congress. The EBC Analysis Group will meet on the 2nd of June and experts having attended the Sub-Committee meetings the previous day will be invited to join. In case you are interested in the activities of one of the EBC Analysis Group Sub-Committees, please have a look at Issue 2 of the EBC Newsletter! Back in January this year, subscribers to the EBC Newsletter and to the BrewUp news alert must have received an email informing them about the recent update of the EBC Method 7.4 “Lead Conductance Value of Hops, Powers and Pellets”. This Method now contains two updated chapters (“Procedure” and “Precision”) and is available on BrewUp. The updates cover the “Procedure” and “Precision” chapters. In the “Procedure” chapter, the extraction parameters are more specified and the method of conductometric titration has been harmonized with Method 7.5 “Bitter Substances in Hops and Hop Products: Lead Conductance Value and Total Resin, Soft Resin and Hard Resin”. The “Precision” chapter now reflects the recent results of a collaborative trial on both hops and pellets carried out in 2018 covering a broader range from low to high alpha varieties as typically used today. The European Brewery Convention thanks Martin Biendl, chairman of the Sub-Committee Hops, and the experts involved in this update, as well as Trevor Cowley, our Technical Editor. This forms part of the EBC stepped-up activities on the front of the Analytica EBC: new Methods are in development and will be published on BrewUp in the coming months and some Methods will be updated to keep up with the latest brewing science developments. 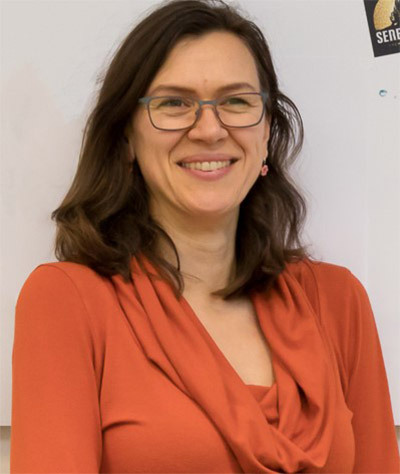 Programme of the EBC Congress 2019 unveiled! As for the congress in Ljubljana in 2019, the subject of hops in all its forms, agronomic, climate-change related, aroma and bitterness analysis, as well as its mode of addition to the wort or beer by innovative brewers will once again be very much in the forefront. What is new are subjects connected to the use of wood. For one, using wooden barrels to ameliorate and create complex flavours when maturing beer in wooden barrels. And then, of course, the use of special saw-dust in kieselguhr replacement trials. That is also part and parcel of the topic of “wood” in brewing and a topic closely related to sustainability. Another thing to point out is the resurgence of the subject of malt, or more precisely, malting technology. In the last few years there were not that many submissions on that particular subject. There will be a good selection of malting papers to look forward to, going some way to addressing the predominance of hops at those type of conferences, including the EBC. Continuity with previous congresses will be provided by having a beer and brewing materials analysis session and a session on beers styles which will make prominent mention of especially non-alcoholic beer. Terroir is a concept which has spilled over from our colleagues in the wine industry and there are indications that terroir as applied to barley and hops could be at least as important in brewing, too. All in all there will be over 50 technical presentations and close to 130 posters at the joint EBC congress plus Brewers Forum. It also means that Brewers Forum delegates can attend lectures and inform themselves via the posters of the latest in brewing science. Lastly, the organising team under the guidance of the EBC President, Tiago Brandão, is looking at putting a senior brewing scientists panel discussion together to reflect on achievements in brewing technology. This will then conclude the 37 EBC congress. Come along and bring your team!